With the CompanyMood survey system, existing employee surveys can be transferred or individual questionnaires can be created and queried at department or company level. 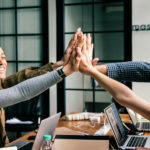 This makes employee feedback in CompanyMood even more meaningful and supplemented by additional tools such as regular surveys. Whether one question or ten, your company determines which surveys are created and which feedback is collected. We would like to briefly explain in this article which employee surveys are possible and how they work. Who should receive the survey? Surveys can be created specifically for different areas. For example, the Net Promoter Score (NPS) of the entire company or only for individual departments/divisions can be recorded. Managers can use surveys specifically for their team to identify improvement potentials and disturbances. Surveys serve a wide variety of information collections. How was the summer party? How’s the canteen food? How is communication between departments? While some employee surveys are to be queried only once, others are to be repeated every 6 months so that the results can be compared. We offer the option to choose from days, weeks, months and even years for regular repetition of surveys. 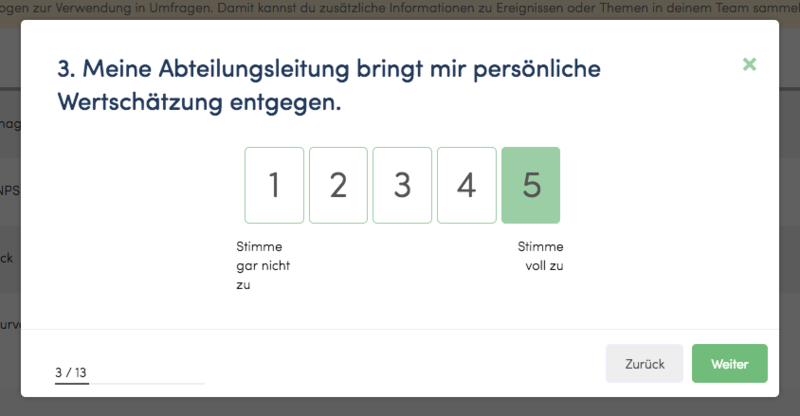 When developing the survey system, we made sure that answering and creating the surveys was simply fun. The results of the surveys can be extracted in real time and via pdf export. Existing surveys can even be exported and re-imported for future use. We are currently adding various information to the surveys and optimizing their usability. Then the survey system is connected to our mobile devices (apps and terminal tablets) via a new API. New types of questions are already being planned and make exciting survey types possible, which we are looking forward to very much. But I don’t want to give too much away yet. The CompanyMood survey system is already included in the Basic plan without restrictions. 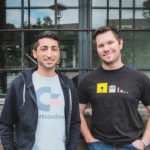 You want to test CompanyMood first? 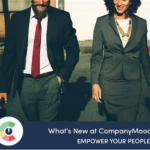 Then contact us (hello@company-mood.com / +49 6831 – 516 89 13) and we will activate the Basic Package for up to three weeks for a test with a team. Find further information to pricing and features or start for free here.